At the London Music School we run a variety of unique and challenging drum courses, from our one year BTEC National Award in Music Performance, to our own LMS Performance and Production Courses. We also offer a variety of part-time courses, and an intensive two-week Summer Course. Our full time courses begin every year in April and October, with new part time courses starting each January, April, July and October. Enrolment is now open for our full time Diploma Courses commencing in April and October 2019. All of our courses are unique and flexible, placing emphasis on what each individual student needs in order to develop their technical ability and practical experience as a musician. We always place emphasis on the need to perform and our students gain varied experience in solo performance, session playing, accompaniment skills and playing in a band. 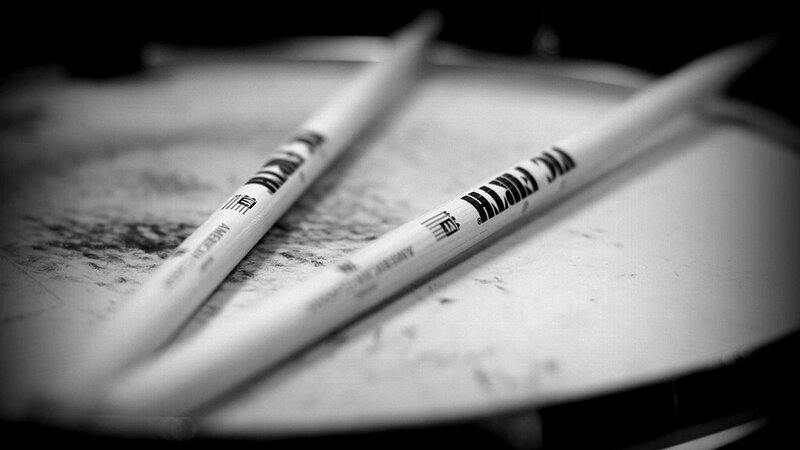 Our full time drum courses cover the key areas of technical skill associated with playing the drums, such as timing, feel, groove, left and right hand independence, snare drum technique and performance. The London Music School offers unrivalled one-to-one tuition, harmony and theory classes, and song-writing and sight-reading lessons. Full time courses include frequent participation in group workshops, rhythm workshops and recording sessions, giving students the opportunity to widen their experience in live performance and recording settings, working with other musicians and accompanying vocalists. Directed by experienced drummer Paul Merser, our courses aim to take students on a rewarding journey through contemporary music education as they develop their skill and confidence with their instrument. Paul’s years of experience both teaching and drumming professionally have provided him with skilful mastery of all styles, taught in a way that is accessible for students. Covering rock, blues, soul, jazz, funk, Latin, pop and much more, means that students get the chance to vastly broaden their musical range and repertoire. Our courses place emphasis on the need to perform and students will gain experience in live performance, session playing and playing as part of a band. Our Part Time Drum Performance Course is a ten week course that takes place on weeknight evenings from 7 – 9 pm. Each group will have once class per week on a Monday or Wednesday evening. The courses are suitable for beginners, intermediate guitarists, and those who just want to get back in to playing their instrument. The course covers left and right hand technique, scales and modes, tone production, basic reading, improvisation, styles, soloing and performance. Groups are kept small, usually 3 to 4 students, so as to ensure each individual receives adequate attention. The course is held at our premises underneath the Hackney Empire on Mare Street, and all part time students are encouraged to play at our monthly live gig at an outside venue. The gig is a great opportunity for students to build on their confidence and live performance experience alongside full time students and LMS graduates. The London Music School Summer Course is one of our most popular courses, combining intensive teaching with lots of fun. The two-week course is packed with group drum classes and workshops with other instrumentalists and vocalists covering key aspects of your instrumental and performance technique. Our Summer Course also offers students two performances a week, two recording sessions, seminars by well-known musicians, and concludes with a live gig at a London venue.